Best to take E66 east, past Nad Al Sheba and E311. Do not take E311 North at this time as traffic can be bad. You can also short cut from Al Khail (E44) round the back of Medan to get onto the E66, as if you were going to the Al Ain Way site. 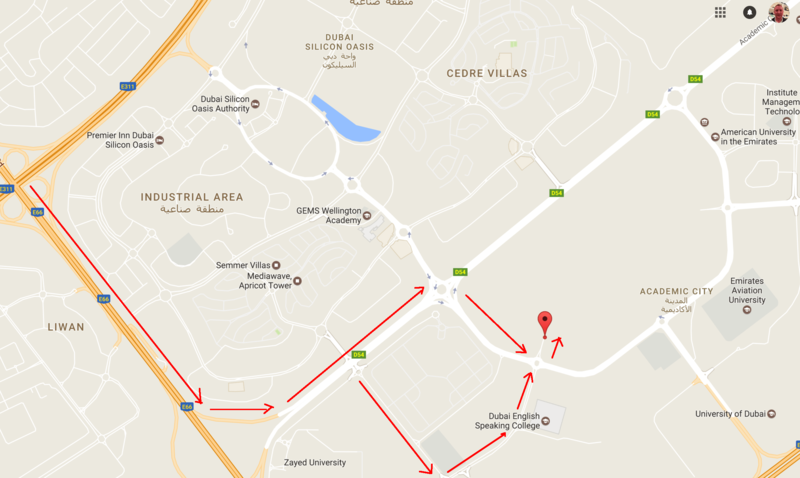 Exit at D54 North to Academic City and Al Khawaneej. At first roundabout go right, you can take slip exit before circle if traffic built up. Left at next circle. 2wd cars park at end of road. 4wd can go a bit further. Fire site will be about 100m to right behind the bushes.